It’s versatile. It’s chic. It’s a touch of glamour in your everyday life: it’s metallic! 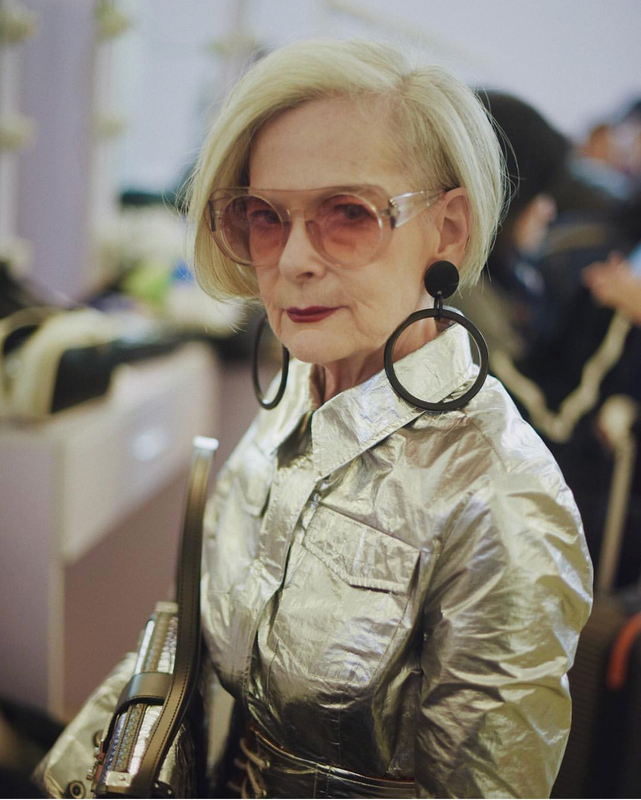 You can count on this trend being around this fall, and one thing is for sure, metallic is for any age. But how do you wear it in a way that suits your personal style? 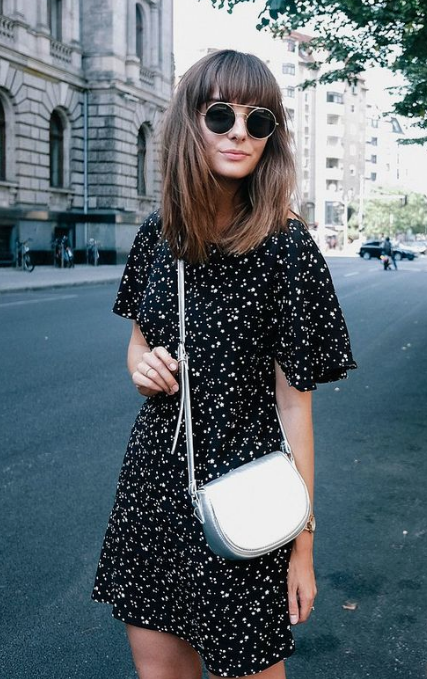 My simple, stylish tips will leave you feeling more confident to rock this trend all season long! 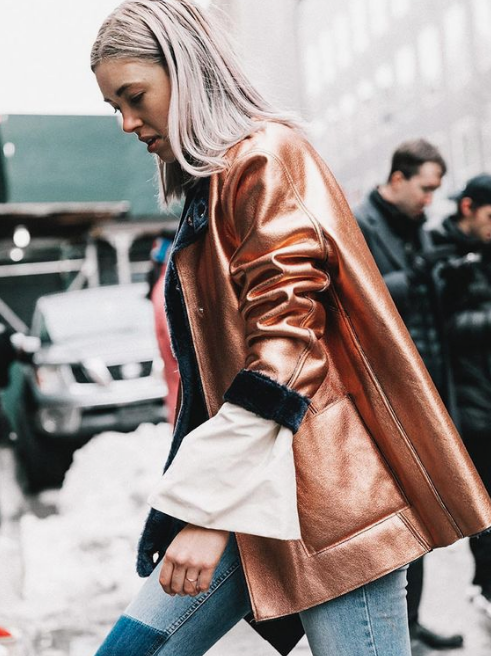 Tip 1: The #1 rule in how to wear metallics is that they are the ultimate neutral. 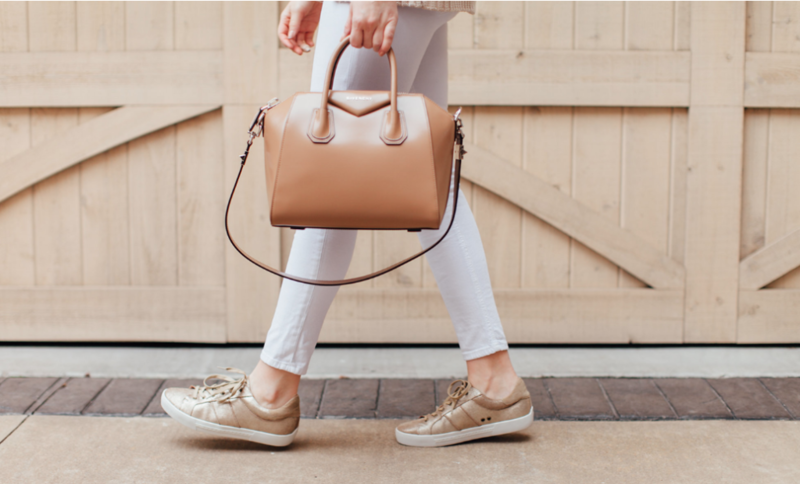 They literally can be paired back with any color, and any other neutral (black, brown, khaki, white, gray). If you don’t know what color shoe or handbag to pair with your outfit, go metallic as it’s rarely ever wrong! 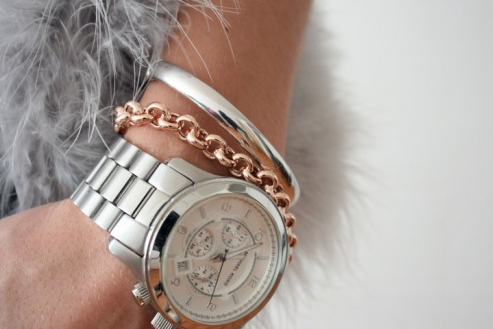 Tip 2: Mixing metals can be tricky, so opt for one metallic hue per outfit. This doesn’t mean you can’t wear silver and gold accessories together, or rose gold and yellow gold. It simply means that for most of my clients they prefer to have one metallic focal point per outfit. This can look like a pair of silver ballet flats, gold slip on sneakers, a bronze leather jacket, or a rose gold pleated skirt. Tip 3: Metallic comes in all forms and levels of shine, so while I am ALL for experimentation and getting out of your comfort zone, do know that you can select your metallic item(s) based on your personal style. This may mean for a more traditional femme that you go for a stack of gold & silver chain link bracelets and bangles as your pop. Or for a more classic femme, perhaps you do a silver loafer. For the bohemian lady, this is your time to go for a metallic flowy midi skirt. And for the trendy lady go bold with a metallic leather jacket, or a pair of metallic coated jeans or booties. All in all know, metallic is for everyone, no matter your style, size or age. 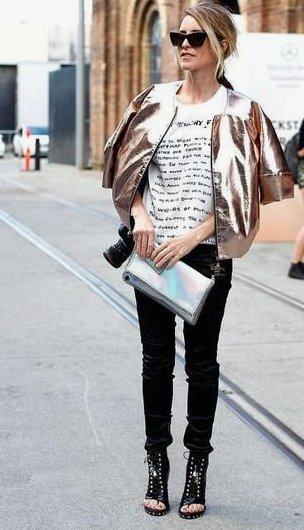 For more inspiration on how to wear metallic, follow me on Pinterest HERE.